The Dallas Stars added to their goaltending corps Monday, signing 20-year-old Jake Oettinger to an entry-level contract. 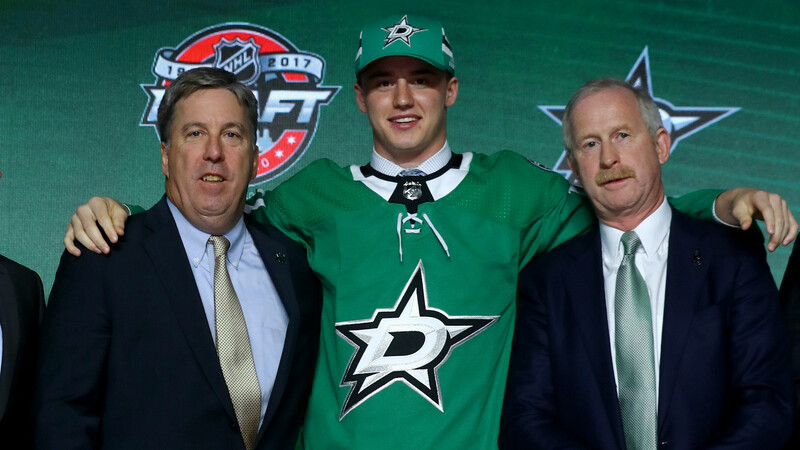 Oettinger’s three-year deal with the Stars will start with the 2019-20 season; however, he will join Dallas’ AHL affiliate on an amateur tryout for the remainder of the current season. The goalie comes off a standout career at Boston University, where he amassed a 58-39-11 record and finished tied for first in school history with 13 shutouts. Oettinger, who played three seasons for the Terriers, also leaves the college game with BU’s second-best career save percentage (.923) and fourth-best career goals-against average (2.34). In addition to an elite NCAA career, Oettinger also shone on the international stage for Team USA’s youth programs. He served as a backup for the Americans’ gold medal-winning run at the 2017 World Junior Championship and played three games as the USA won bronze in 2018. Oettinger also backstopped his country to a bronze medal at the 2016 U18 World Championship. A native of Lakeville, Minn., Oettinger was taken 26th overall by Dallas in the 2017 NHL draft.